Are you guys ready to fly with Hiccup and Toothless one last time? 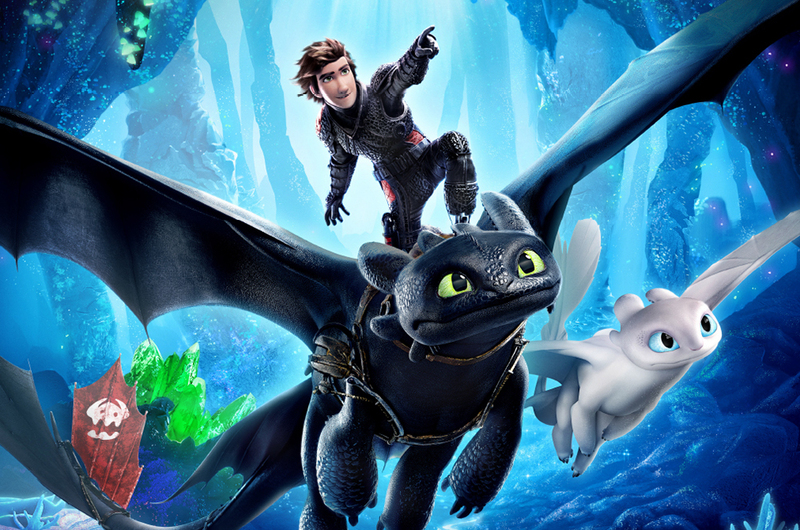 'How To Train Your Dragon: The Hidden World' is the last entry in the highly-acclaimed movie series, and from the looks to it, it's going to be a highly emotional affair. Now chief and ruler of Berk alongside Astrid and his Night Fury pet dragon Toothless, Hiccup has created a gloriously chaotic dragon utopia. All is well until the sudden appearance of a female Light Fury. While Toothless is happy he has finally found a companion, the appearance of the Light Fury strangely coincides with the darkest threat their village has ever faced. Grimmel the Grisly hates all form of human-dragon relationships and wishes that dragons would go extinct, and he's willing to do anything to make sure that happens. So, Hiccup and Toothless must leave the only home they’ve known and journey to a hidden world thought only to exist in myth. As their true destines are revealed, dragon and rider will fight together — to the very ends of the Earth— to protect everything they’ve grown to treasure. 'How To Train Your Dragon: The Hidden World' is set to open in Malaysian cinemas on 31 January, but if you can't wait any longer, our friends at United International Pictures are giving you a chance to catch the movie a few days before everyone else. All you have to do to win a pair of exclusive premiere screening passes is to answer two simple questions and complete the slogan below as creatively as possible to stand a chance to watch the screening on 29 January 2019 (Tuesday). Winners will be notified via e-mail on 28 January. Remember to check the Spam folder, okay? - Closing date: 27 January 2019. [CONTEST] Win Passes To Slide The City In Kuala Lumpur!